Keyword research is one of the most fundamental and highest ROI activities when it comes to SEO (and SEM for that matter). 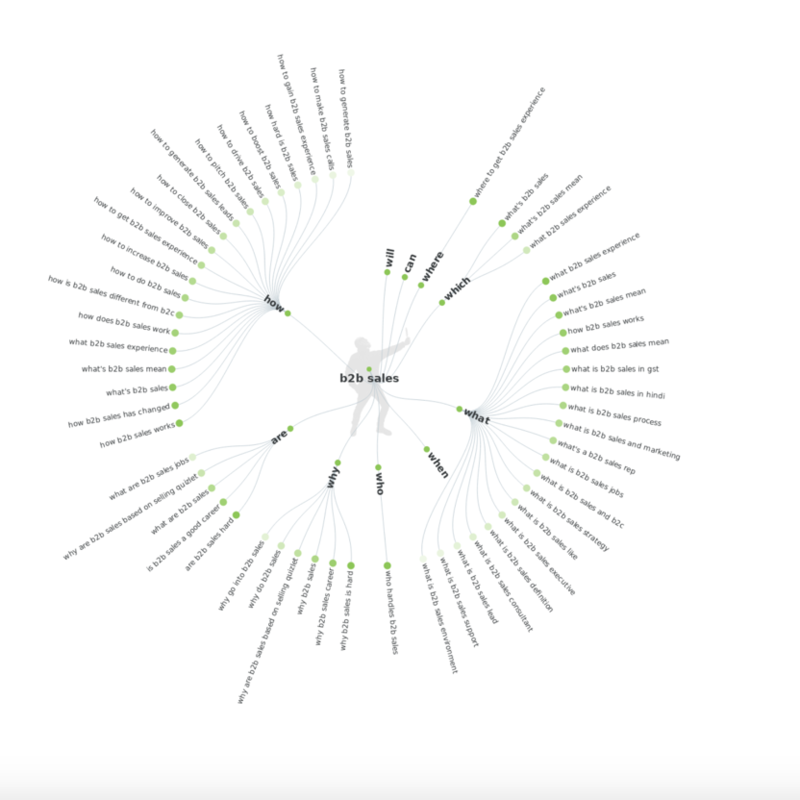 With the right keyword research and tools, you can tap into what your potential customers are searching for and direct them to your page through well-crafted ads and content. As a bonus, it can also help inform your content strategy, improve the copy on your landing pages and more. From there, you can guide prospects down the path to a sale or a conversion. A creative way to gather keywords is by finding out what questions your audience is already asking. A good entry point is through the free tool Answer The Public. 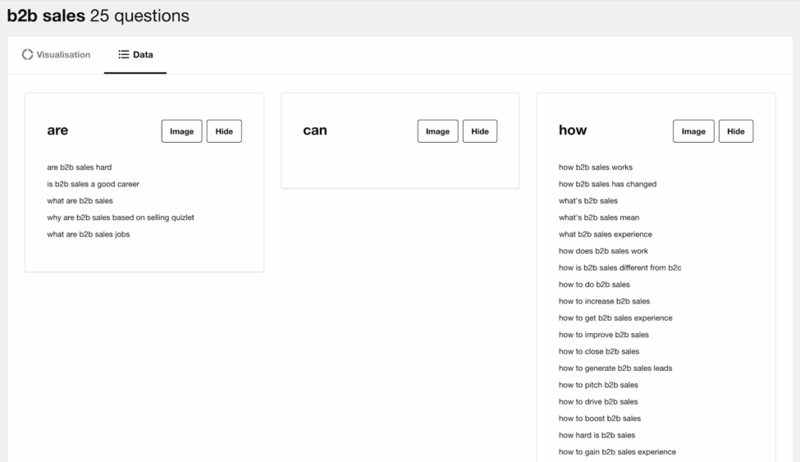 Answer The Public is a keyword tool that visualizes search questions and suggested autocomplete searches in an image called a search cloud. Categories consist of the 5 Ws, plus ‘how’, ‘can’, ‘are’, ‘which’ and ‘will’. For example, let’s say you’re a SaaS company looking to help B2B customers grow through a sales tool. 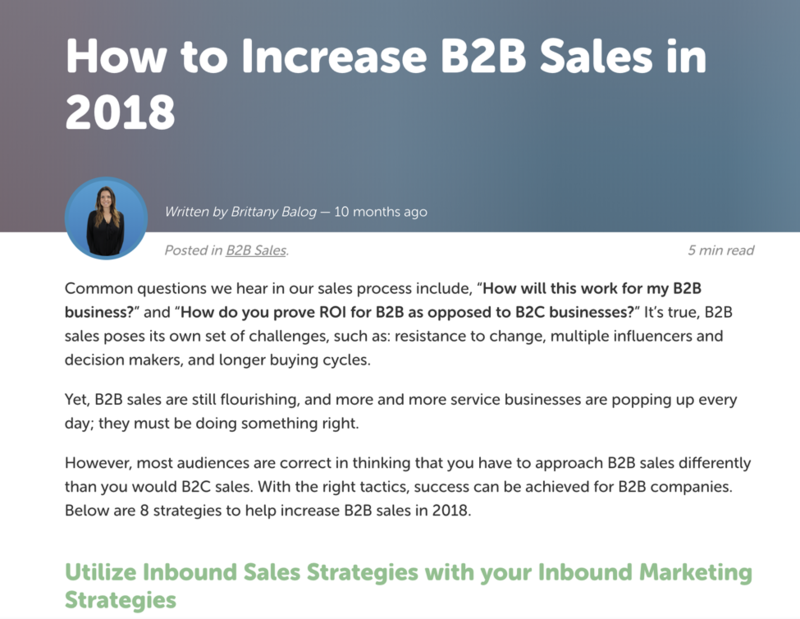 It makes sense to start your keyword research around the term “B2B sales.” This will give you a sense for which questions B2B salespeople have, and the challenges they face when closing more deals. We’ll go through a step-by-step guide on how to use the free version of Answer The Public to grow both paid and organic traffic. For ease of use, all the data in Answer The Public is exportable and downloadable. Now you have a good baseline on the types of questions your audience is searching for. However, you still need more data on the monthly volume of related keywords in order to choose the best ones to optimize for paid search. When you incorporate both common and long-tail keyword phrases, you’ll be able to find the most relevant searches from your audience. 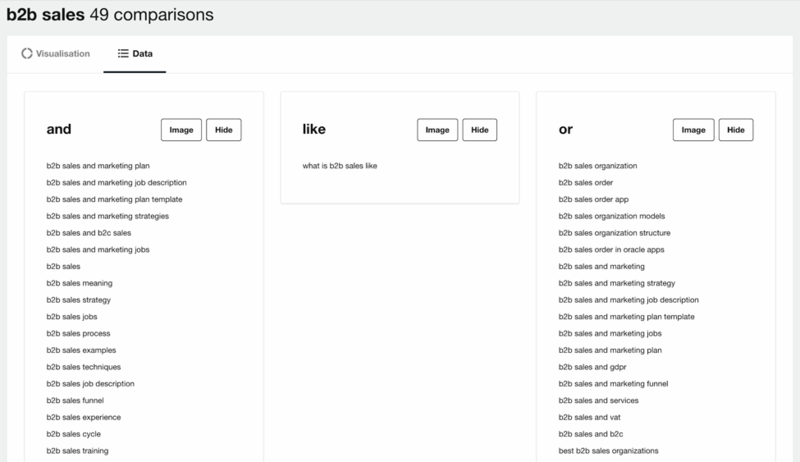 This is where we loop in tools like Ubersuggest and Ahrefs Keyword Explorer to derive further data in addition to what we’ve found on Answer The Public. 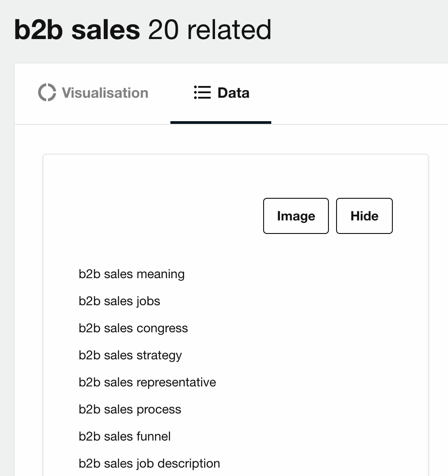 In doing a general search for the keyword “B2B sales,” it shows that on average 9,600 people will search for this keyword every month. On average, it costs $9 per click with a little less than a third of people clicking through. Most of these people are clicking on organic content, rather than paid ads. It also shows that you’d only need around 11 backlinks to rank on the first page. 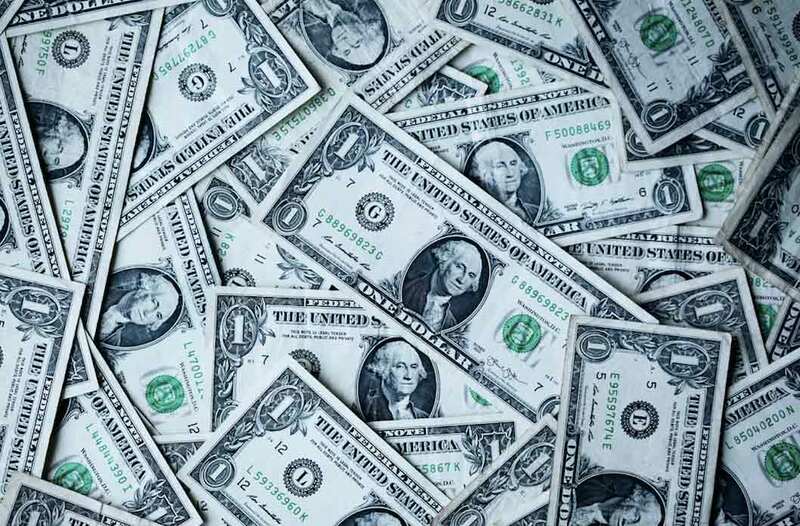 The cost per click is estimated to be around $9, which may seem high for specific industries, but when it comes to B2B sales tools the lifetime customer value can make the higher cost per acquisition worth it. 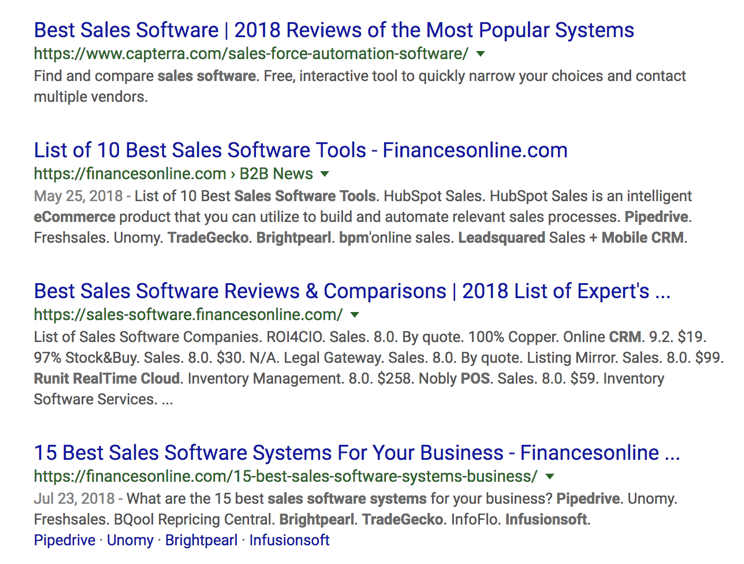 In this second example, the keyword “sales software” shows a search volume of 1,000 with a moderate amount of competition for backlinks. What’s interesting about this keyword is that 27% of people click on paid ads and it results to an overall 0.92 clicks per search. 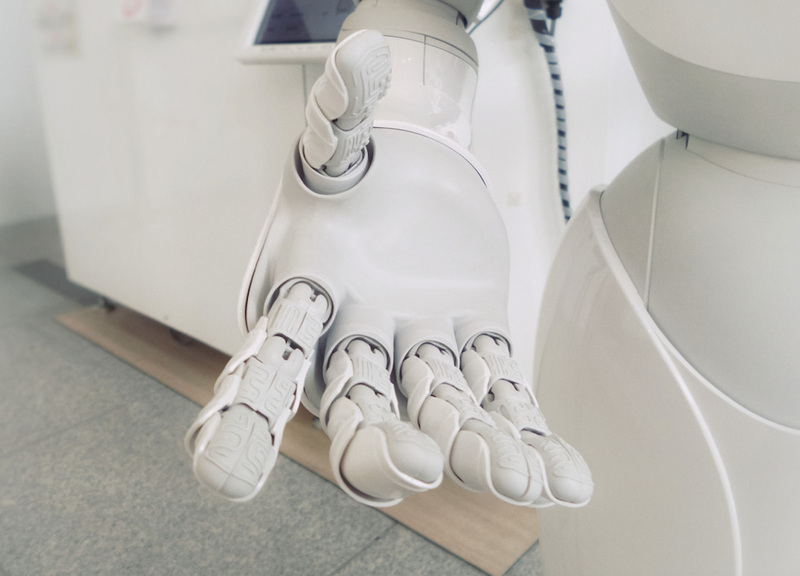 From the data gathered, it shows that whatever content is on the first page is highly relevant to people’s search intent and implies they are looking for a solution. Therefore, it’s pegged at a higher cost of $20 per click. Given this example, it makes sense to have a paid ad around this keyword. Armed with these keyword results, you can optimize content in your user guides, FAQ pages, Google snippets and landing pages. After typing in “what is the best sales software,” it shows me a snippet from financesonline.com. In addition, it shows other examples of what ‘people also ask’. Since question queries usually prompt featured snippets, Answer The Public is the best tool for finding these questions. Getting your brand featured in a snippet can position you as an authority and provide ongoing exposure for audiences you want to reach. 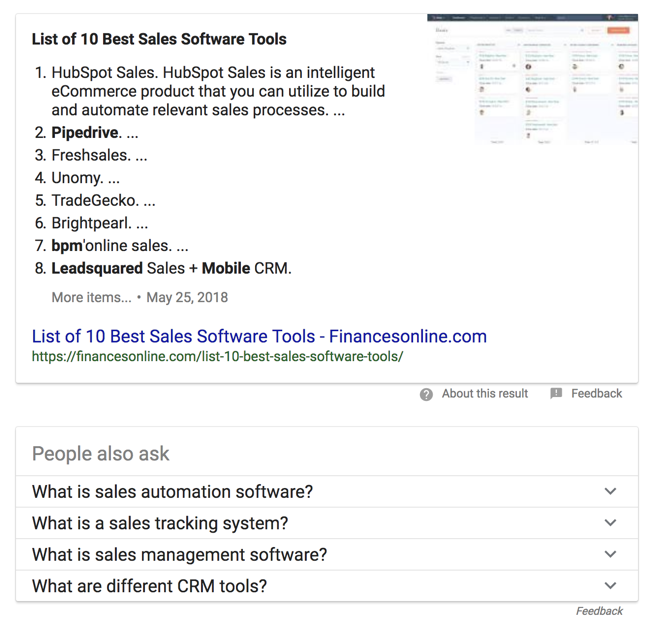 By giving list-style answers to your audience’s questions, you can get your content showcased on Google snippets. 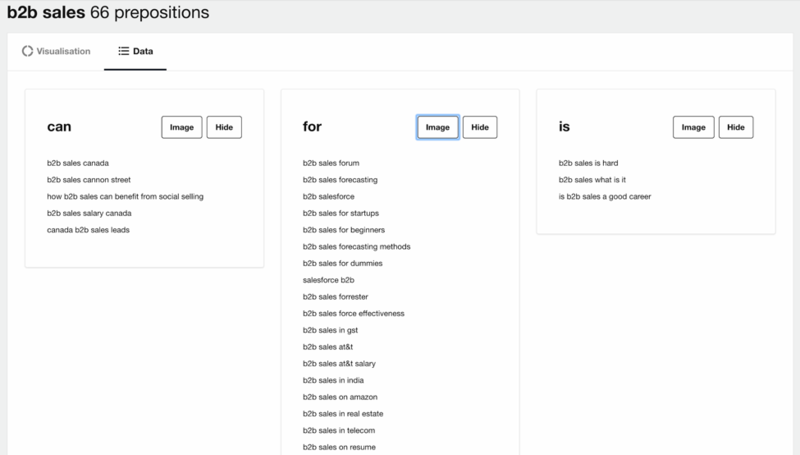 Bonus Tip: Optimize for questions that use natural language. It’s good to keep in mind that searches are increasingly performed through voice search, not just through typed terms. Imagine this: your prospective customer has done a search for “sales software” and is trying to figure out which website link to click on. In the few seconds your potential customer takes to make up their mind, you can pull them to your website with a good question in your headline or description. Questions like, “what are the 15 best sales software systems for your business?” can make a person pause, look closer and click through to the site. While on the landing page, if the content is relevant and has answered the searcher’s question, they are more likely to take the desired action you want them to take. Tell a story related to the question asked and your product/service. 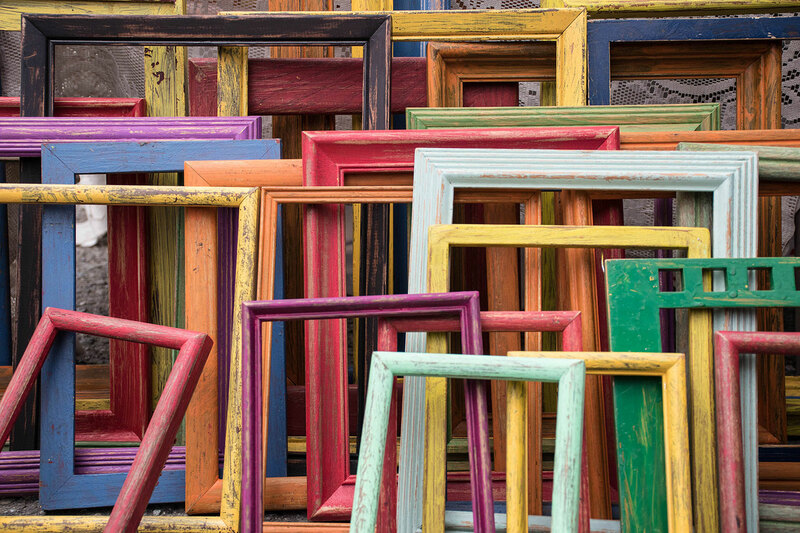 Cater the page to your ideal persona with tailored content and testimonials. Outline how your solution solves the underlying challenge behind the question. While Answer The Public isn’t the “end all, be all” when it comes to your keyword research strategy, it’s definitely a good starting point for question queries that can be turned into paid ads and organic traffic. By utilizing the tips above, you’ll have a well-rounded approach to finding the right keywords, getting featured in Google’s featured snippets and crafting attention-grabbing landing pages.